How has everyone's weekend been? I hope the American ladies are enjoying their 4th of July long weekend! Here are swatches of the Shiseido lippies I got from my Shiseido Warehouse sale haul as requested. Unfortunately I don't have a swatch of SL 1 for you as I'm giving this lippie to my aunty. The lippies applied nice and smoothly and feel very moisturising. The colours are very pretty too! 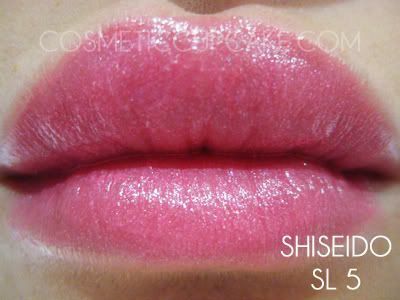 Shimmering lipstick in SL 5 - pretty pink lipstick with silver shimmer. 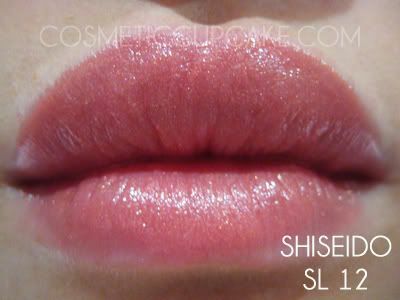 It gives a really nice hint of pink to the lips, great for times when you don't want to be overly girly. 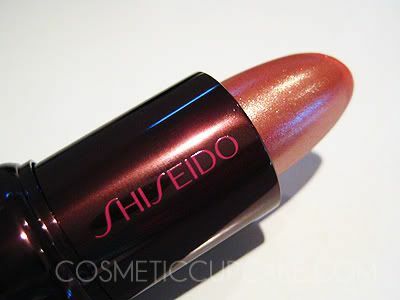 Shimmering lipstick in SL 12 - a peachy pink lipstick with golden shimmer. 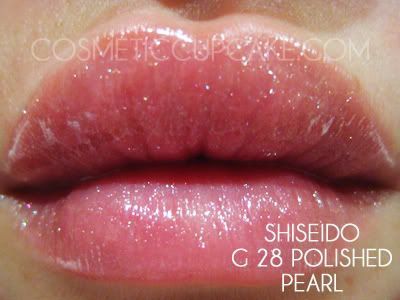 G 28 Polished Pearl lipgloss - is a clear gloss with loads of silver shimmer. On the lips though, not much glitter actually shows up even if you put lots of it on so this would be best layered on top of a lippie. The gloss wasn't sticky at all which is a must for me! 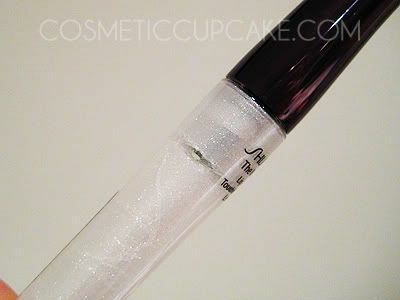 I had something weird with my my tube though as the gloss separated after I used it. Maybe it's a little old..? Anyone have this happen to them before? 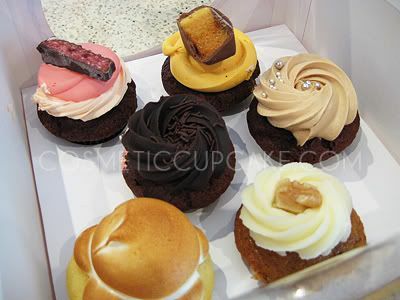 I'll leave you with some pics of some delicious cupcakes I got from Cupcakes on Pitt. MMMMMMM! They were demolished soon after I took this photo lol. :) nice lipsticks... but i prefer... cupcakes!! :) yummy! pretty. 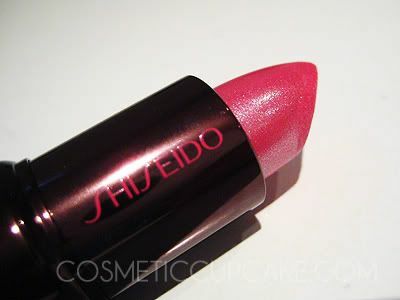 i love shiseido lipsticks for their quality as well, but they are soo expensive! Thanks so much ladies! Wish I could send you all some delicious cupcakes to try! Chelle, i used to work for Shiseido and i love all their products. Where i live the only place to buy is at Myer and their prices are very expensive. I love their lipsticks and i have a makeup box full of them. So creamy and really moisturizing too. @Superwoolu: Thanks hun! Definitely get your hands on them if you can!